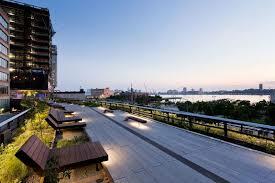 The High Line is a 1.45-mile-long elevated linear park, greenway and rail trail. It was created on a former New York Central Railroad spur on the west side of Manhattan in New York City. There are multiple entrances between 12th and 30th streets. 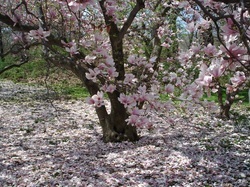 Specific places worth checking out are the Conservatory Garden, Bow Bridge, and Shakespeare Garden. There's boating on the Lake in the warmer months and at least two skating rinks in the winter. Beautiful waterfront park with views of Brooklyn, the harbor, and New Jersey. 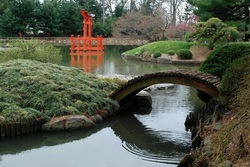 195,000 square feet of perennial gardens, free to the public., open every day of the year. 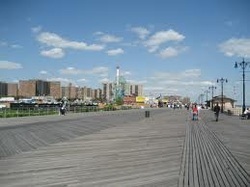 The Coney Island Boardwalk is approximately 4 miles long along the Coney Island waterfront. Due to its length it does not have an exact address but if you go all the way down Ocean Parkway you will reach the boardwalk. The address I found for it is 3006 W. 12th St. Brooklyn, NY 11224-2816. One of the most gorgeous spots in the entire city, with views of the bridges, downtown, and the harbor. Pier 1 is the best area to walk and relax. Pier 2 has a roller rink. You can attempt to find metered parking by Pier 3, but it is unlikely you'll find. Alternatively, have the 1 Hotel valet it for you or park in their lot. Should be $20 for up to 3 hours.